Over/Under: Over 158.5 at 1.90 Bet Now! 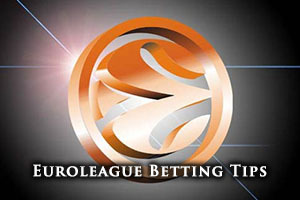 This is a massive game between two teams who have an excellent pedigree in the Euroleague. The home side knows that they if they grab a win in this game, they will secure the home-court advantage in the playoffs and this would also drop their opponents down into third spot. Olympiacos know that if they are looking to take control of their destiny, they need to win this game. This may be a tall order but the Greek side managed to defeat CSKA earlier in the campaign and this was at a time when the Russian side was looking close to invincible. When it comes to big game players for CSKA Moscow, it is hard to argue against Nando De Colo. He has been in fine form this campaign and has averaged 14.7 points per game this season. He hasn’t been the only key player for the team, players like Andrei Vorontsevich with an average of 6.1 rebounds per game this season have helped, but De Colo is clearly a great player to have on the team. Milos Teodosic is another great player and he will be taking on his former team in this clash in Russian. Teodosic has an average of 7.1 assists per game this season and has been instrumental in many of the wins that the Russian team has claimed. Vassilis Spanoulis has been an integral player for the Greek side this season and with an average of 15.5 points per game this campaign, he is the sort of player that can be relied upon to deliver the goods when they are needed. Othello Hunter has also been a key player, offering up an average of 4.9 rebounds per game this season while Spanoulis has also excelled with respect to assists, offering an average of 5.9 assists per game for the Greek side. The home team holds a 20-2 record going into this game, which is derived from their 10-0 regular season record and their 10-2 record in the Top 16. They face an Olympiacos side which holds a 17-5 record this season, comprising of an 8-2 record in the regular season and a 9-3 record, so far, in the Top 16. With respect to average points scored, CSKA Moscow lead with 88.3 to 76.2 but it is fair to point out that the Greek side have an excellent defensive record this campaign. CSKA Moscow have a 24-3 record in the Russian league at the moment and sit at the top of the table. Their most recent domestic outing was a 102-67 win against CEZ Nymburk. Olympiacos are at the top of the table with a 21-1 record and their most recent domestic win was an away win against Koroivos, winning by a score of 70-87. The home side are big favourites to win the game and knowing that they can clinch home-court advantage should be a big incentive for them. Taking CSKA Moscow with a -9.5 handicap, at odds of 1.90, is likely to be a good bet for Friday. If you are looking to take on the Over/Under market, going OVER 158.5, at odds of 1.90, will provide you with plenty of excitement for Friday. Bet Now!